The below is an excerpt from Alex de Waal’s essay, “Remember Alem Bekagn,” published in the London Review of Books (Vol. 34 No. 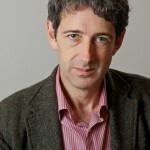 2, 26 January 2012) and available in full to subscribers. 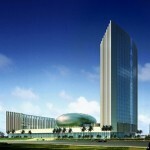 Architectual image of the African Union headquarters, opening in January 2012. 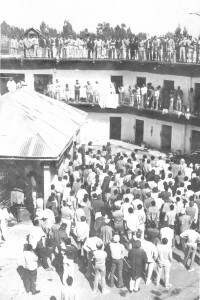 The new headquarters of the African Union have been built on the site of Addis Ababa’s former central prison, officially called Akaki, but known in Ethiopia as Alem Bekagn, or ‘farewell to the world’, and the site of detentions and massacres, from the Italian occupation of 1936 to the Red Terror of 1977-78. More people may have been tortured and executed in other Ethiopian prisons, but Alem Bekagn was the emblematic site. 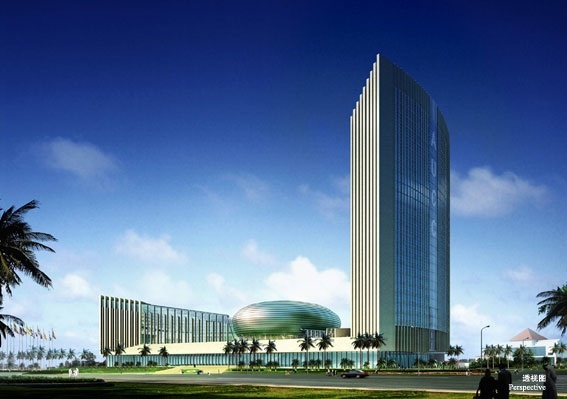 On 28 January the African Union will inaugurate its new headquarters. The conference hall, where Africa’s heads of state will meet, is built where the old prison building stood for 70 years. cells that faced the prison’s central courtyard. The gleaming hallways, lined with meeting rooms and offices, curve around what was the exercise yard. A new hotel is rising on the site of the sprawling barns where prisoners slept, their damp and flea-infested mattresses squeezed together on wooden platforms. When the AU summit convenes, the heads of state will attend a brief ceremony where a bullet-marked wall once stood, and unveil the foundation stone of a memorial – its form yet to be decided – to those who suffered and died in Alem Bekagn, and to the victims of human rights violations throughout Africa, including the Rwandese Tutsis.